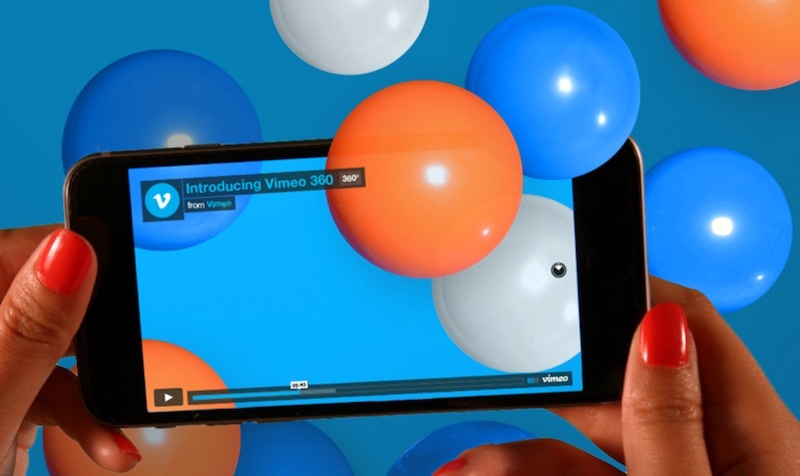 Vimeo today announced that 360-degree video support has arrived for the service's web and mobile app platforms. The update will provide a place for creators to learn and upload videos in the popular format, as well as a community hub of 360-degree video content for viewers to browse and watch flat, or using compatible VR headsets. Vimeo's 360-degree videos will support 8K content in both monoscopic and stereoscopic formats, offline viewing in HD, and include a virtual compass in the video to orient viewers "and encourage interaction." These settings will be available to all of Vimeo's creators, who will also gain access to a "360 Video School" to learn the ins and outs of shooting and editing on 360-degree cameras. The new videos will be available to watch on the Vimeo iOS [Direct Link] and Android apps, as well as VR headsets including Zeiss VR One, Samsung Gear VR and Google Daydream. Oculus Rift and HTC Vive support is said to be coming soon. The debut also includes a 360-degree video marketplace where viewers can browse videos published by Vimeo creators, through Vimeo On Demand, and purchase or rent the videos. Some of the first 360-degree video content will be coverage of South by Southwest, which is kicking off in Austin, Texas this weekend. 360-degree video has become a popular addition to existing platforms, with Facebook, Periscope, and YouTube all recently adding support for the format.